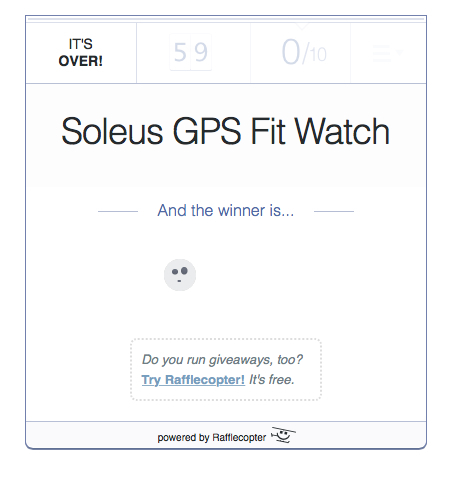 Thank you to every single one of you who entered my 7,000 followers giveaway for the Soleus GPS Fit Watch! I got some great e-mail ideas for new posts and welcome to all my new followers! 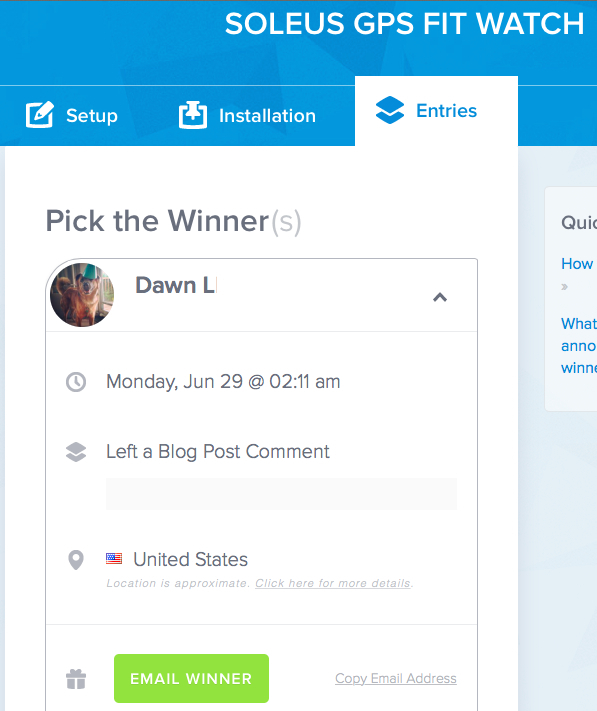 A big congratulations to Dawn L. who is the winner of the giveaway! If you didn’t win this time, don’t worry… another giveaway will be here before you know it! Thanks again guys. SO happy for you Dawn! I sent you an email this morning all you need to do is respond to that!